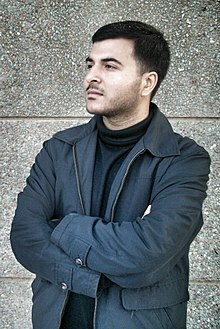 Gaurav Sharma (born March 4, 1992) is an Indian author and novelist who lives in Canada. Gaurav is best known for his semi-autobiographical fiction book Gone are the Days, historical (mythological) fiction God of the Sullied and creative nonfiction book, The Indian Story of an Author. He has also written three textbooks related to the field of journalism and mass communication. Get along with me as I don't wait for anybody. I am time , and I welcome you to the world of Kali where nothing is as it seems. Vyas was no less than a Purushottam. A Purushottam of the dark epoch, an era where sinners judge and punish sinners for sinning differently. As I continued to walk step by step, the lie of life freed me from its clutches, and the universal truth of death swept over breath by breath. Books give us the ability to see things from different perspectives. They educate us, entertain us, force us to think upon certain issues. And reading a book or reading, in general, is an excuse for those who are less sociable like me for not socialising much. And guess what, it works most of the times. Source: The Asian Age quoted Sharma. Dedicated to all non-award winning, non-bestselling and self-published authors. Sincere thanks to all the publishers who rejected my manuscripts. Rejection is the reason behind the creation of this book. I think reading is an effective way of introspecting how you perceive reality and imagination. As an author, you get to know what other authors have done better and it helps hone skills. Whoever said, he/she is a proud non-reader of books is living in oblivion. It (reading) not only opens up one’s mind to a wider array of things as well, but is also a welcome relief from the monotony of the mundane world. Source: Deccan Chronicle quoted Sharma on the event of World Book Day 2018. Nobody tells me what to do in my book. I can do whatever I wish and to whomever I want. It is fun for me. It calms the chaos inside my mind. That is why I write. Source: Quoted in Asian News International story on September 20, 2017. As they say in Hindi ‘Chalti ka naam zindagi.’ Anybody who is just sitting (even on the right track) will be run over (by the train) at some point in life. Source: Interview with United News of India on October 1, 2017. I tried my hand at a novel around college romance, but soon figured out I was no good at it. Source: Quoted in Edex, education supplement of The New Indian Express on January 22, 2018. I dedicate this book to all my readers, irrespective of whether they purchased my book, illegally obtained a copy, downloaded it or borrowed it from someone else. Some went ahead and directly asked me to send them a soft-copy of my book. Special salute to them as well. Excuse me pal! This is IELTS; you understand? This is International English Language Testing System…not a Bihar Board exam where candidates are accompanied by their friends, neighbours and relatives until they finish writing the test. If Bihari version of ‘Harry Potter’ would have been shot in Sitamarhi, I am sure that school (St. Joseph) would have been pictured as Hogwarts. Stealing is really an art, a dangerous, risky art, though. The moment I stood there I saw people from houses to my right, left and front were already on their balcony’s and they stared at me all at once as if I was from Jupiter. Their interrogative expression was asking me ‘who the hell are you?’ repeatedly. I did not give a damn, though. Either I had to get my admission in grade ninth again or else I had to do some work-around to seek for a ‘jugaad’ (hack). I chose the latter. The only thing appeared to be fine in most of the rooms was blackboard. It seemed black; and fine too. He (night-guard) was wearing an underwear and a torn vest which said ‘yeh aram ka maamla hai.’ He implemented that statement literally in his life, I could see that. ‘Be in line and then see what’s going on!’ a fat lady shouted at me. ‘Hell yeah! you greasy piece of flesh.’ I cursed her in my mind. But ‘Yes I am going back in line!’ I shouted at her. I mean did we take the law, the ‘LAW’ in our hands by playing in college? What were they going to do, put a charge on us under Indian Penal Code?! I too had some of the ‘Indian’ things in my bags. A pressure cooker, Parle-G, Maggi, desi ghee, underwear (a lot of them), some more Maggi, shirts, pants, socks, thermal wear, jackets, chappals, soap, some more Parle-G and the list goes on and on. We middle class people are all same from inside. First things first, I logged into my Facebook account and checked-in there as well. You know what, it is more important to check-in on Facebook than it is to check-in for real at the airport. Let the world which gives zero fucks to what you are doing with your life, know you can afford a plane ticket for economy class. Right? Grandma asked me to confirm if I had landed in Canada and not any other country. I just pointed my camera towards the different direction where grandma could see some Sardar roaming here and there. ‘Aa ta Kanedda hi lagda hai.’ (it is Canada, indeed) grandma said in joy. We all laughed like anything. Gaurav is a man, man is a social being and Gaurav is not social at all. From statements one two and three we get ‘Gaurav is just a being.’ Hence proved, he mere exists. I don’t know where I am, what am I doing, where will life take me, how will things go, whom to talk to, what to share, what to cook, how to eat, when to sleep, what to wear, what to do and how to live. All of my known are busy making their CVs look professional and substantial. And I am figuring out the way to make my life normal and less bumpy. Forget about building strong resume. Rest assured, I am okay…I will be alright. Cheers to my life! This page was last edited on 29 October 2018, at 01:21.